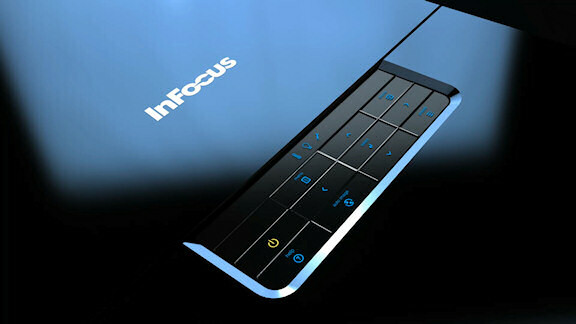 The InFocus SP8602 - it's official! 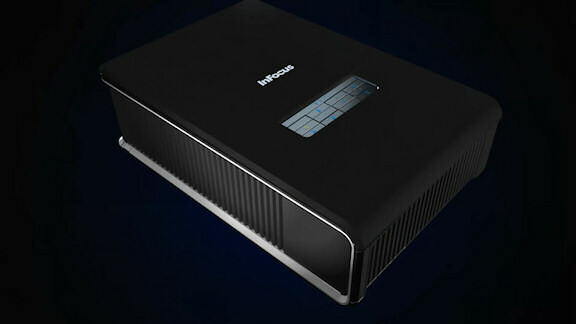 The InFocus brand is nearly synonomous with "projectors". Their projectors are commonplace in conference rooms all over the world, and their home theater projectors have won numerous awards. We've always been fans of their bright, punchy images in home theater applications. Movies from an InFocus seem to leap off the screen and have a Wow! factor second to none. And while the current IN-series can have some positioning challenges, they still toss a great picture. That's one of the reasons we're looking forward to their new SP8602. We broke some of the first details of this impressive projector a few months ago, but now we've got the official announcement. 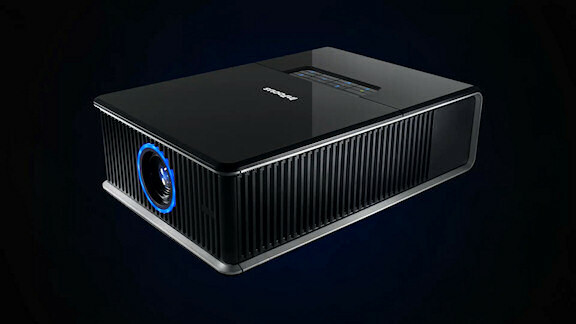 Their latest 1080p DLP home theater projector will be a complete diversion from the current style of the IN series. Based on the model number, they're moving back to the "ScreenPlay" branding, which we approve of. The ScreenPlay 8602 lists for $4,999, keeping true with InFocus' history of being one of the leaders in the "bang-for-the-buck" category. We're accepting pre-orders now, so if you're interested in this great projector call us at 888-484-9680 today! The SP8602 has 1400 ANSI lumens, so it's definitely bright enough for nearly any theater application. We've installed a lot of the older InFocus ScreenPlay 7200 series projectors due to the flexibility in room lighting offered by their 1000 lumen output. And extra 400 ANSI lumens will only make the SP8602 that much more flexible. Osram's Unishape technology has also been incorporated into the SP8602. This light-modulation technology actually increases color depth in DLP projectors, as well as throwing a brighter, higher-contrast image by varying the light coming from the projection lamp itself. The DLP DarkChip technology enables the 8602 to deliver a 30,000:1 contrast ratio, which means the darks are dark and the brights are bright. High contrast is one of the first things our eyes perceive when it comes to a video signal. 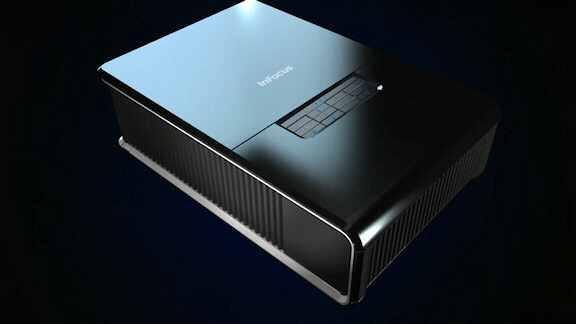 As huge proponents of anamorphic 2.35:1 theaters, we love InFocus' projectors. Since their first ScreenPlay series projectors, InFocus has incorporated the two scaling modes necessary to make any anamorphic lens work. That means the InFocus SP8602 will work with both movable constant-height lens systems and less expensive fixed constant-width setups. If you haven't seen or heard about anamorphic 2.35:1, it's definitely the theater of the future. The SP8602 will have +5% / -30% vertical lens shift and +/- 15% horizontal lens shift. Its lens assembly uses high-quality glass and is centered in the chassis. The newest ScreenPlay also features automatic ceiling detection. All of those features make for easier installation.The InFocus SP8602 has 2 HDMI ports, 1 5BNC jacks, a RS-232 control jack, a remote control jack and a 12v screen trigger interface. There's also an integrated cable-management system and jack-panel cover that will hide of the typical cable mess in projector installations. InFocus is touting the "Blue-Iris" glow ring around the lens which certainly looks cool, but may not be desirable when watching a movie. 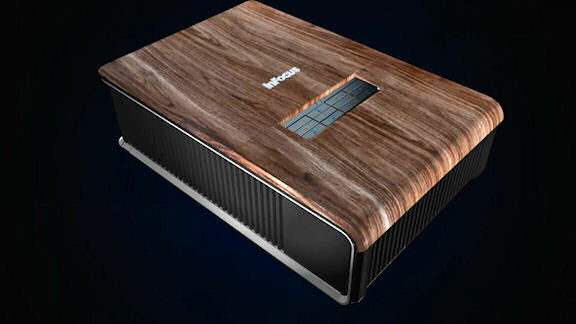 The chassis also supports "skins" - replaceable top panels in several styles. As of this writing, both matte and glossy black, matte white and wood grain will be available. Like the ScreenPlay 777, you can get a primered skin that can be custom-painted to match your decor (or clash with it!). 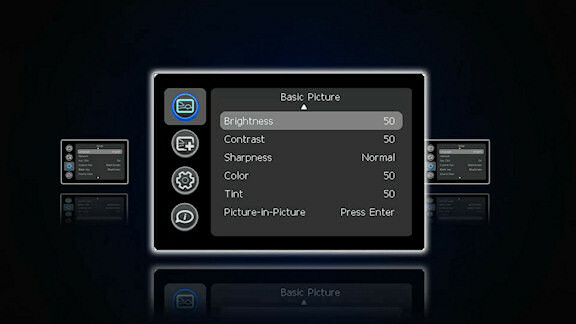 The ScreenPlay 8602 also supports BrilliantColor for more accurate color recreation and also has image warping capabilities. Warping an image to fit on a curved screen or wall might be useful, especially in anamorphic 2.35:1 setups. The menus are also much-improved and nicer-looking. It also features the Pixelworks DNX™ 10-bit video processor to give the best possible picture when deinterlacing or scaling a video signal. 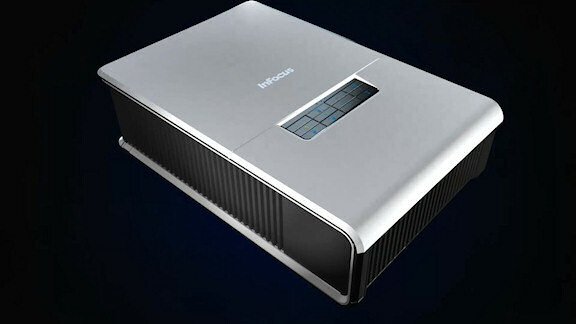 To top all of this off, InFocus has added a 5-year warranty to their flagship home theater projector, a strong indicator of a projector's quality. We're twisting all the arms we can to get an evaluation unit for review. If we can get one before it's officially shipping, we'll run it through its paces and report back here. In the meantime, here's a few images to whet your appetite.